This sounds crazy, but I mill my own flour now! In just a minute or two I can have freshly milled whole wheat flour that hasn’t been stripped of any nutrients. It takes me longer to unpack the machine, set it up and then pack it up again than it does to mill several cups of fresh flour. 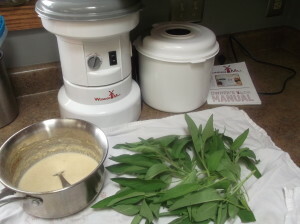 Last year I participated in the WonderMill Grain Mill Challenge: the company sent me a free mill to use in exchange for posting my recipes using the flour I’d milled myself. I really love it! Here are a couple photos from my posts, but to learn more or watch it in action, watch this video I found online. 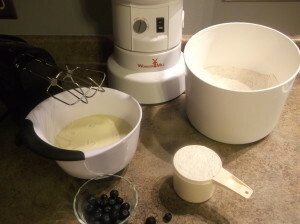 And while I have only used it to mill wheat flour, it’s capable of making dozens of other kinds — even gluten-free flours. Learn more about the mill or even buy one here.